Citrus County Children’s Advocacy Center, Inc. incorporated as private, non-profit, 501(C)(3) corporation on August 16, 2006. The fictitious name of Jessie’s Place was registered for use by the corporation on August 3, 2007. Jessie’s Place is an independent, agency-neutral organization that provides investigative services through the University of Florida Child Protection Team to law enforcement and the Department of Children and Families (DCF). We coordinate investigative efforts and support services so that children and families receive the help that they need to overcome the trauma of violence and abuse and offenders are held accountable for their actions. The facility is managed and operated by the Executive Director. The organization is governed by a Board of Directors. According to the National Children’s Alliance, to understand what a Children's Advocacy Center (CAC) is, you must understand what children face without one. Without a CAC, the child may end up having to tell the worst story of his or her life over and over again, to doctors, cops, lawyers, therapists, investigators, judges, and others. They may have to talk about that traumatic experience in a police station where they think they might be in trouble, or may be asked the wrong questions by a well-meaning teacher or other adult that could hurt the case against the abuser. When police or child protective services believe a child is being abused, the child is brought to the CAC—a safe, child-focused environment—by a caregiver or other “safe” adult. At the CAC, the child tells their story once to a trained interviewer who knows the right questions to ask in a way that does not retraumatize the child. Then, a team that includes medical professionals, law enforcement, mental health, prosecution, child protective services, victim advocacy, and other professionals make decisions together about how to help the child based on the interview. CACs offer therapy and medical exams, plus courtroom preparation, victim advocacy, case management, and other services. This is called the multidisciplinary team (MDT) response and is a core part of the work of CACs. 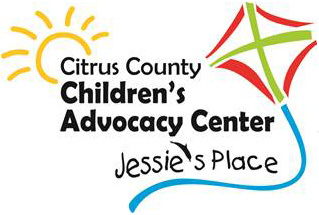 The idea for Citrus County Children’s Advocacy Center bloomed from a community meeting, held April 2005, which focused on a national trend towards child-oriented, victim sensitive methods for delivering services to abused children. Over the following months and years, countless volunteers came together to create the center, known as Jessie’s Place. We strive everyday to help each and every child who has been physically or sexually abused feel like a child again. We are working toward a future where violence, abuse and neglect are no longer common in children’s lives; a future where children have a voice; a future where every child in need receives the best care.